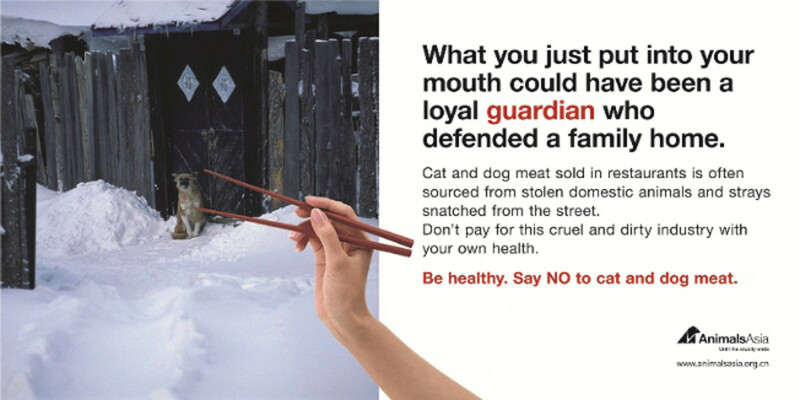 “Say No to Dog or Cat Meat” is the newest ad campaign by Animals Asia, a pet advocacy group that has been leading efforts to stop the Asian dog meat trade (which also includes cats). The campaign has just posted 279 new anti-dog eating advertisements across China in train stations, bus stations and elevators in 14 major cities from Beijing to Shezhen. 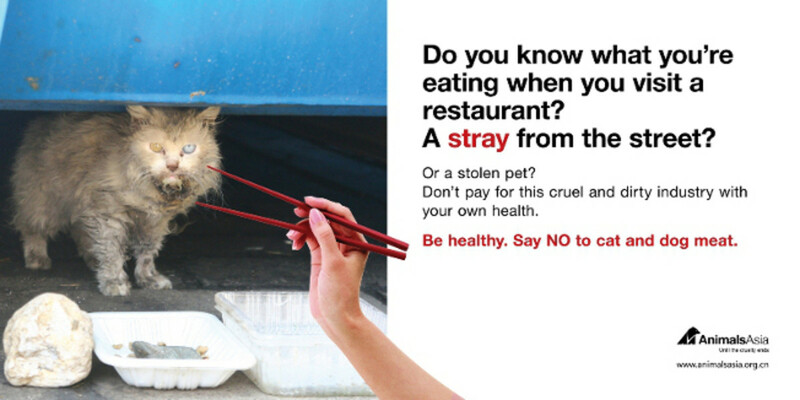 In compelling scenarios, each ad shows someone putting chopsticks over a malnourished stray or beloved family pet. 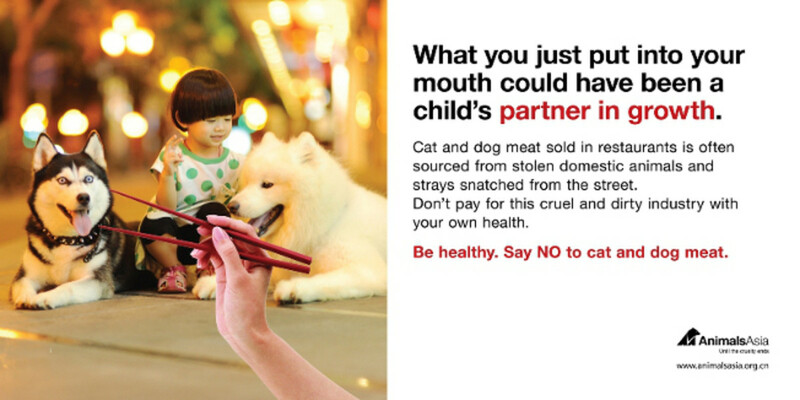 The ads warn of health and safety issues related to eating the meat of stolen or stray pets and the fact that you might be chewing on the dead body of a child’s beloved companion. 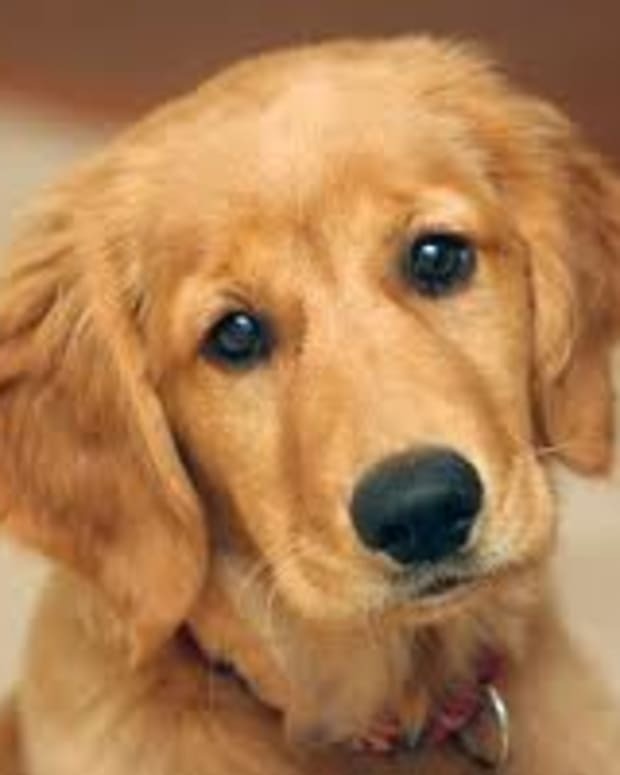 An estimated 5 million dogs are slaughtered for human consumption every year, according to Animals Asia. 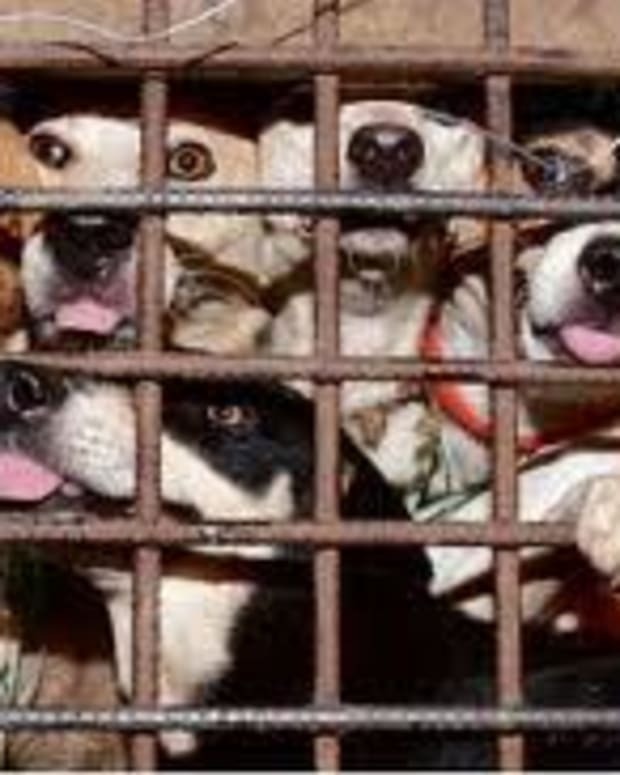 They are crammed into filthy, small wire cages with other dogs. The animals suffer from the moment they’re brought into the highly unregulated dog-meat industry and as they exit it — often killed by electrocution, hanging or being beaten to death. In May, the Asia Canine Protection Alliance (ACPA), a coalition of animal-protection organizations, was formed to end the dog meat trade in Asian countries like Thailand, Cambodia, Laos and Vietnam. 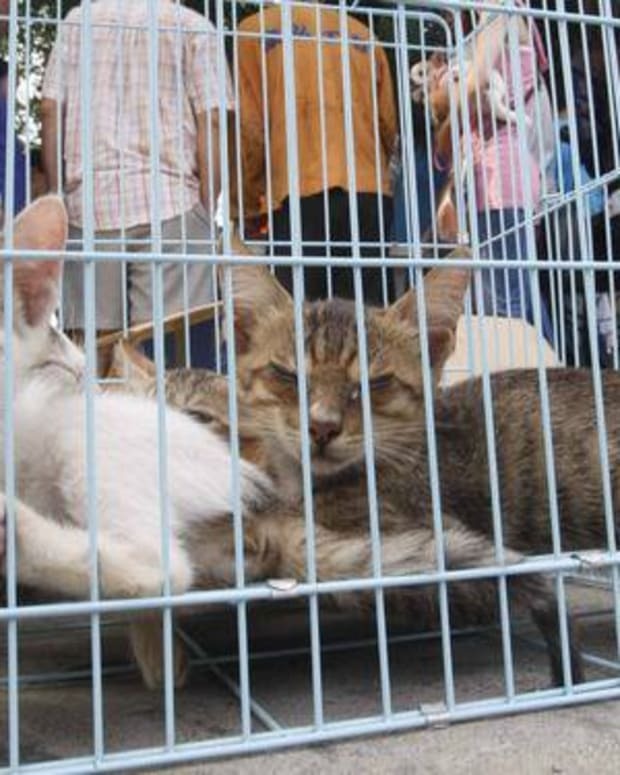 The ads have already created quite a buzz on Weibo, the Chinese version of Twitter, reports Animals Asia. “The good news is that awareness is spreading. The reaction we have had from the public to the posters has been incredible as has been the willingness to further share the message."